RCSB PDB Mobile. Search the entire PDB, view the latest weekly release of structures, access your MyPDB account, view the entire catalog of Molecule of the Month articles, and more using either a WiFi or cellular data connection. RCSB PDB Mobile is an update of the beta-tested PDBMobile. 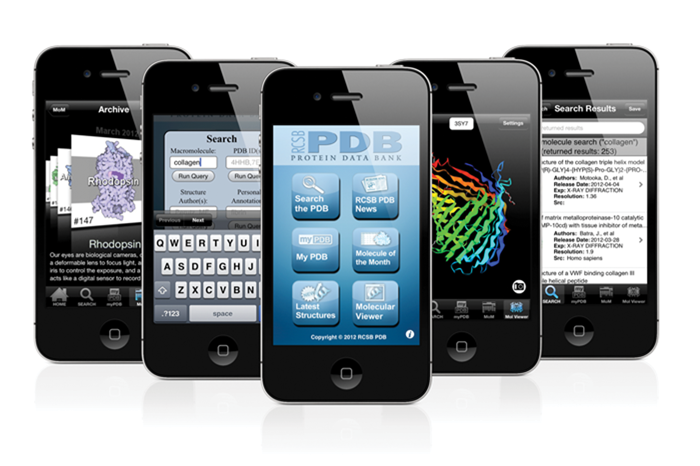 Access the free download of RCSB PDB Mobile from Apple's App Store. Author Profiles. 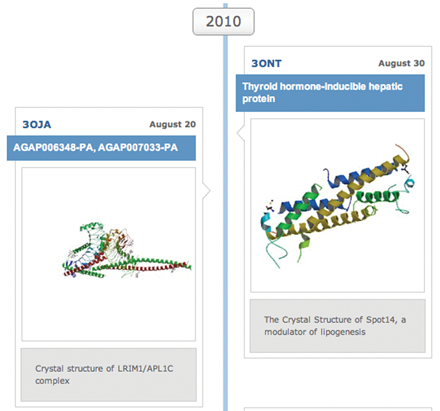 This new PDB-101 feature displays a vertical timeline of the structures that list a particular researcher as a Deposition Author or Primary Citation Author. To jump to a specific time period, select a year from the right navigation menu or scroll down the page to load subsequent years. Query and Display Features. 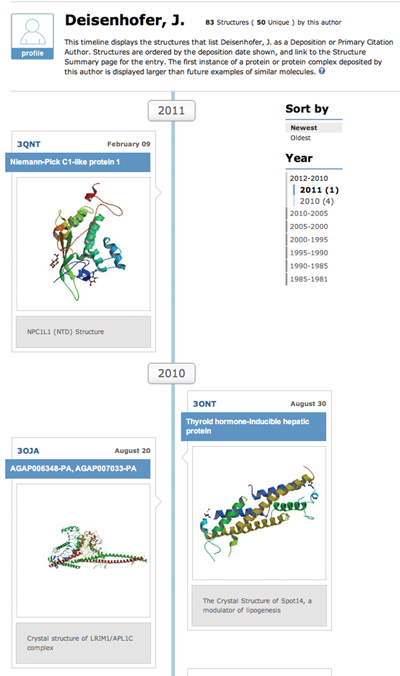 Quickly search by Experimental and/or Molecule Type; view details about any revisions made to an entry from the Structure Summary page; and access Other Search Suggestions for top bar queries. The What's New page has complete descriptions of all new features.